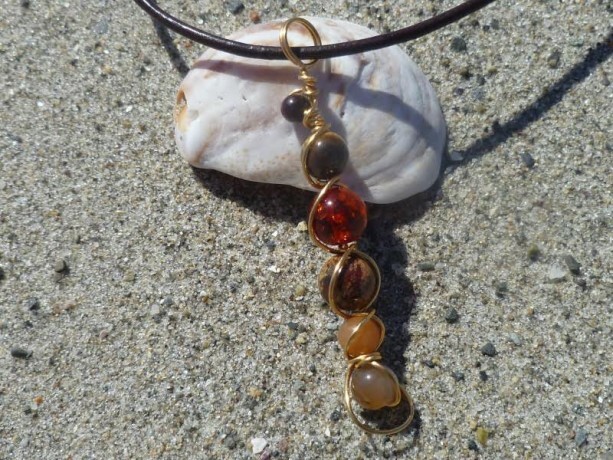 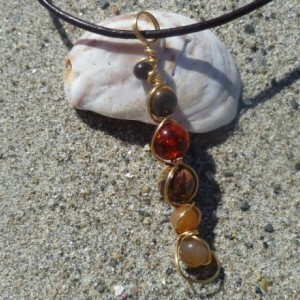 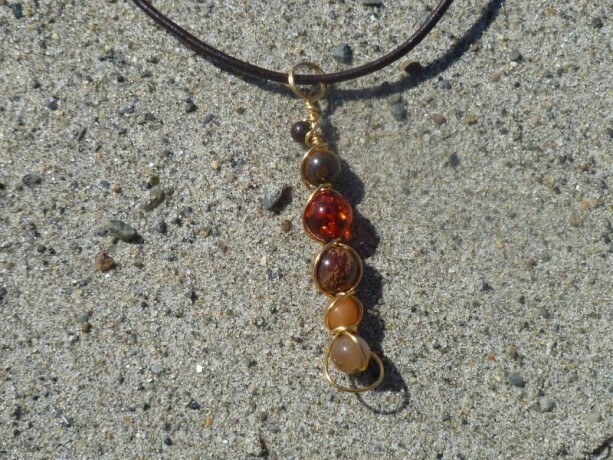 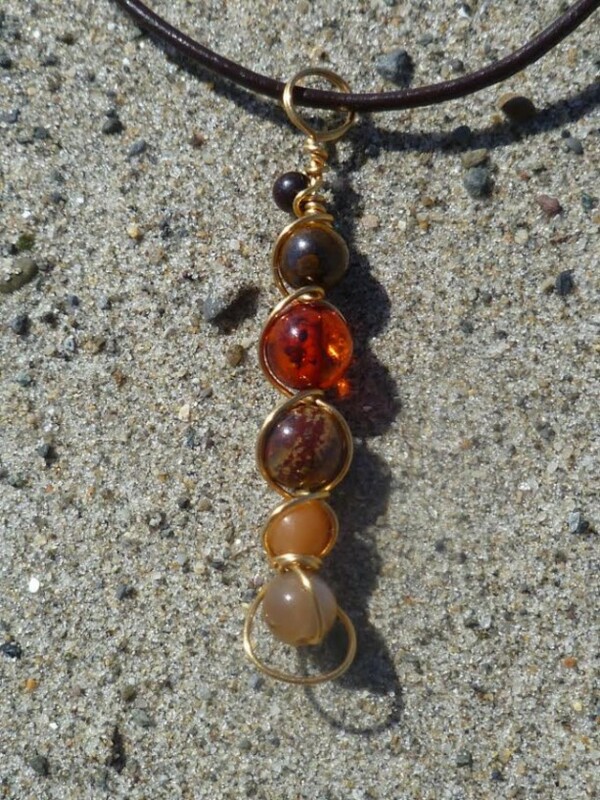 This 2" pendant is made from several different gemstones, including manmade amber, red aventurine, sunstone, and tigereye, and strung on gold-colored copper wire. 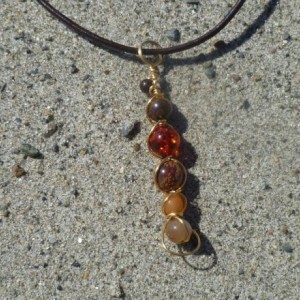 It comes with a length of leather that can be worn as is or replaced with the chain of your choice. 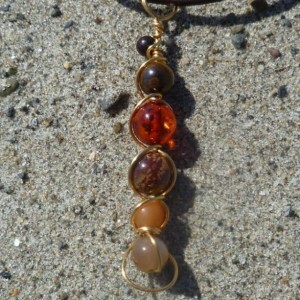 Variants available upon request!